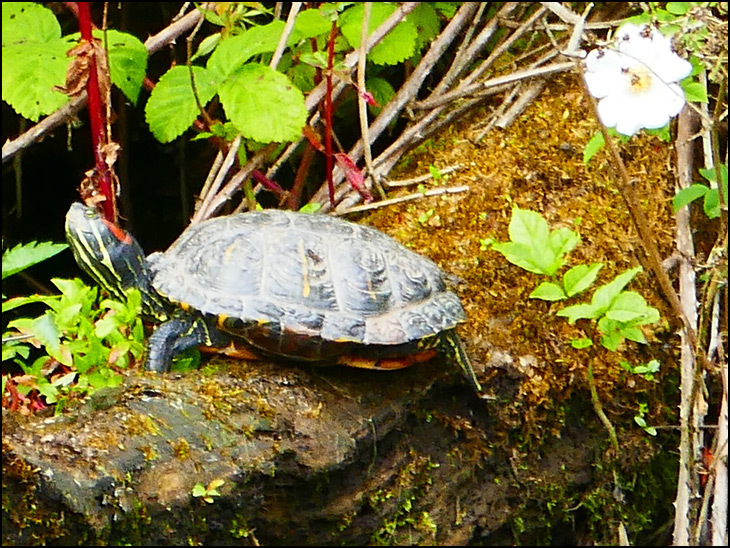 Terrapin on the canal in Appley Bridge. Nice those red eared turtles shame so many end up in canals although it can only be better than in a tank that's way too small. And turn them into a plate of soup. great photo Mick, the canal seems to be full of them! It suits them well this climate mild!